Hounded is a modern fox game from Atlas Games. For those who may not know, fox games are a category of board games for two players, where one player controls one, or sometimes two, fox pieces, and the other player has multiple pieces usually representing either the prey or hunters of the fox. Variants of the game date back as far as the 14th century, with historic links going back even farther than that. 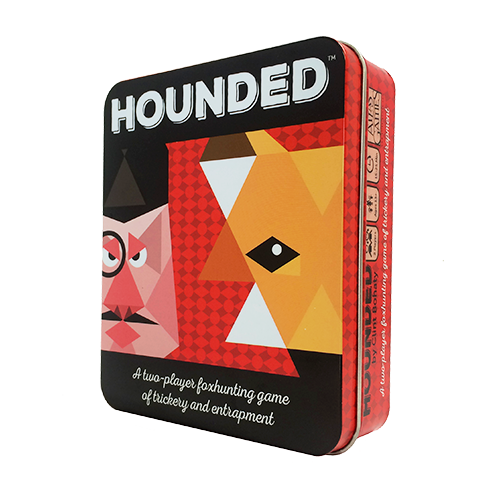 In Hounded, the first player controls a hunting party consisting of the Master of the Hounds (if you’re lucky you can find a promotional Mistress of the Hounds pawn), three Foxhounds, a Bulldog, and a Terrier. The second player controls the Fox. Each of the different pieces has its own unique movement and special abilities. Similarly, 23 of the 49 hidden tiles that make up the 7×7 play space also have special bonuses on them when revealed. There is a pair of reference cards to help learn what everything does, but the gameplay is simple. Like most good two-player games, Hounded is higher on strategy and lower on luck. But the blind, random, tiles does add a strong, but not unbalancing, element of luck to the game. The Master of the Hounds wins if the Fox is forced into a position where it is captured or unable move, while the Fox wins if it avoids losing until all but six tiles or the three “time” tiles are revealed. Strategy-wise the Fox is relatively simple, just move, reveal tiles, don’t get cornered. The hunting party is more complex, however, since each of the pieces plays differently. The Terrier, for example, also reveals most of the tiles it lands on after moving. While this could benefit the Fox, there are tile bonuses that apply to the hunting party if they are revealed by the Terrier, and it could remove bonuses for the Fox from play. Gameplay aside, I very much enjoyed the artistic style of the game. Each tile looks and feels like a quilting block, with the same triangular block style put into the wooden player pawns. The game comes in a compact tin that is easy to take along on a camping trip or to a coffee shop. The recommended age of 13+ is more an enjoyment thing. Not unlike chess, you could play Hounded at a younger age, but the strategic play is likely to be largely lost at that point. Trying to modernize a historic game is both risky and challenging, but Hounded does it well. The strategic play is solid, and the potential for a last-second escape from the Fox by revealing a lucky tile adds excitement and tension. 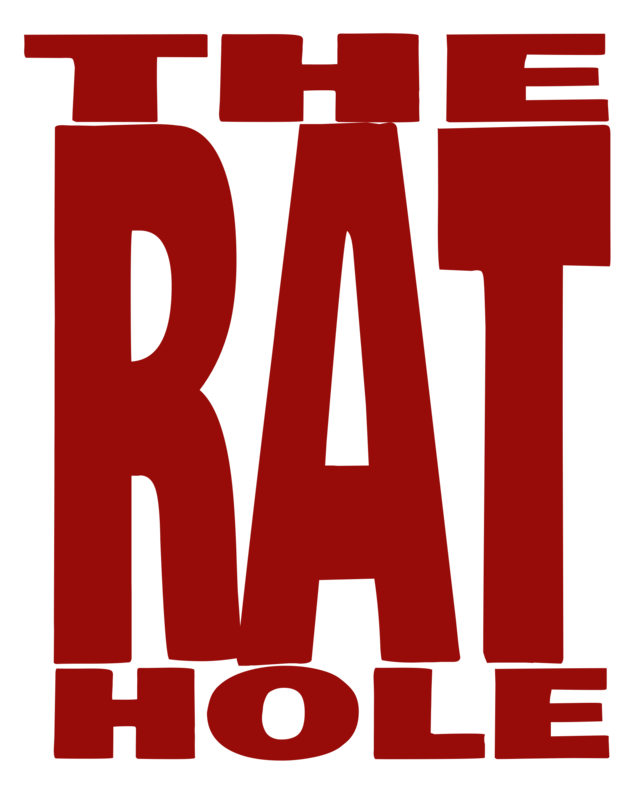 It’s a fun and challenging game, that has a ton of replay value.